Imagine you’re hard at work on a report that’s due by the end of the day. It’s been a busy week so far, and you’ve got a long way to go, so you need to avoid distractions. Unfortunately, your eyes are watering and your nose is twitching because the guy in the next cube, the one who bikes ten miles to work every day, is . . . aromatic. And not in a pleasant way. When tackling delicate subjects, setting aside harsh criticism in favor of precise, tactful language can mean the difference between straining a workplace relationship and getting results. 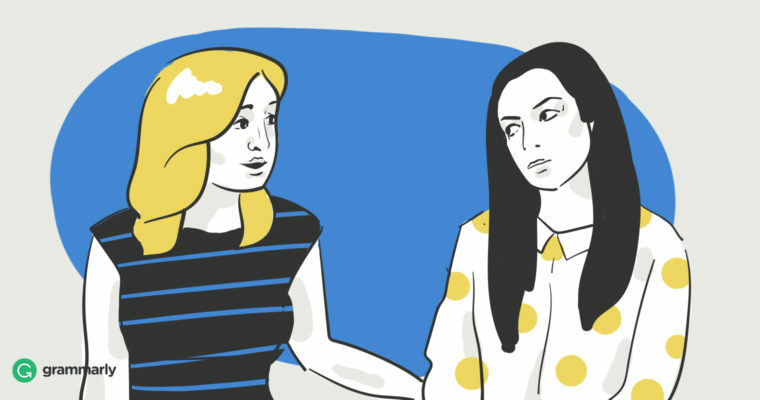 Our suggested dialogs for potentially awkward workplace scenarios should help keep your office environment more liveable, and your relationships with your colleagues more comfortable. Situation #1: Smell me! I work out. Your colleague is an active person. You get it. Everyone gets it, because being in his vicinity means coping with aromas reminiscent of the inside of your high school gym locker. You’ve tried dropping subtle hints, but they’re not working. First, make sure the conversation is private. You might also consider talking at the end of the day, so your colleague doesn’t have to spend hours feeling self-conscious. Assure the person that you like and respect him before tackling the odor issue. Don’t make accusations. Be kind but not condescending. Your colleague will likely feel embarrassed no matter what you say, but you can soften the impact by downplaying the severity and assuming they practice good hygiene. Admit the topic is awkward for you, too. You cringe when you see one of them coming down the hall with a catalog and an order sheet in hand. These coworkers have kids in school, and every time you turn around they’re participating in one fundraiser or another. You don’t need any more wrapping paper, overpriced chocolates, cheese, sausage, or useless trinkets, thanks. You might start by empathizing with the seller’s plight. After all, your colleague probably isn’t any more thrilled about having to solicit than you are about being solicited. Now that you’ve acknowledged that the fundraiser struggle is real, it’s best to get right to the no-thank-you. Don’t browse through the sales materials, don’t ask what little Susie is selling, just politely decline. Some workplaces have policies against selling anything in the office. If you’re aware of such a policy, feel free to tactfully bring it up. Your cubicle may be fairly open, and your stuff may be out in the world for all to see, but that doesn’t make it any less your stuff. Not only is it irritating when someone “borrows” your things, it can even make you less productive. You may want to shout “Paws off my stuff!” but there’s a more tactful (if less emotionally satisfying) way to handle this—just ask. If your colleague brushes off your request or insists it’s no big deal, you may have to push a little harder. Some people like to talk. A lot. And when they want to shoot the breeze with you throughout the workday, it can put a serious dent in your ability to get things done. You have a right to work time free from unnecessary interruptions, so ask for it directly. Just focus the conversation on your needs rather than your colleague’s behavior. If your problem colleague is also your supervisor, or anyone higher up the hierarchy ladder than you, or if you don’t have a particularly close or amicable working relationship, it’s wise to let someone else do the talking. In fact, in any of these situations, if you don’t feel you can approach the conversation yourself in a way that will resolve conflict rather than create more, ask your boss or the human resources department for help.